Google's John Mueller said on Twitter that the URL inspector tool that launched about a month ago shows more recent and up-to-date information that the Google Search Console indexing reports. The indexing reports can be one to two weeks delayed, while the URL inspector tool shows information from the last time the URL was indexed. John Mueller said "The indexing reports are aggregated over time and compiled for reporting regularly (I think 1-2x/week in general? ), the Inspect URL tool shows the latest info (doesn't need to wait for the aggregate report to be updated)." This is not a live test. This tool describes the most recently indexed version of a page, not the live version on the web. The information shown in the tool is used by Google to evaluate Search results. Your page may have changed or become unavailable since Google last saw it. To test the current version of the page as Google would see it, use the Fetch as Google tool. You can also use Fetch as Google to request a recrawl of the URL. The "Last crawl" date under Index coverage, shows the date when the information shown here was retrieved (if the page was successfully crawled). "URL is on Google" doesn't actually mean that your page is appearing in Search results. Actual appearance in Search results requires that the page and its structured data conform to quality and security guidelines. The URL Inspection tool doesn't take into account manual actions, content removals, or temporarily blocked URLs. 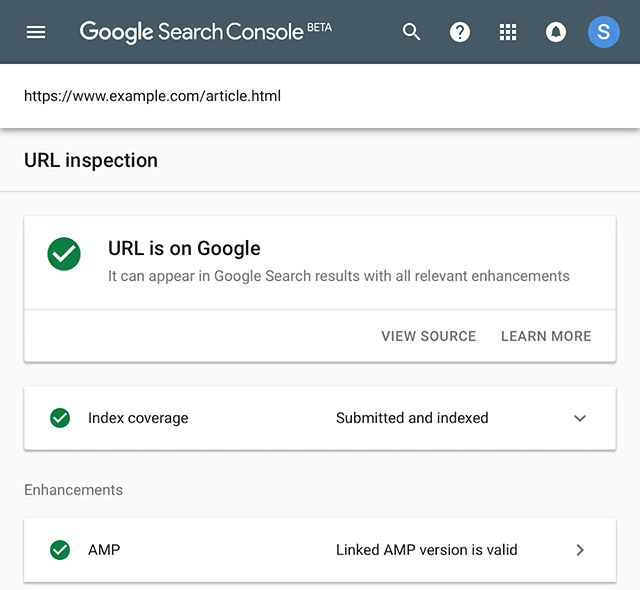 To see if your URL is appearing, search for your URL on Google; if your URL is missing but this tool says it was indexed, here's how to find out why. 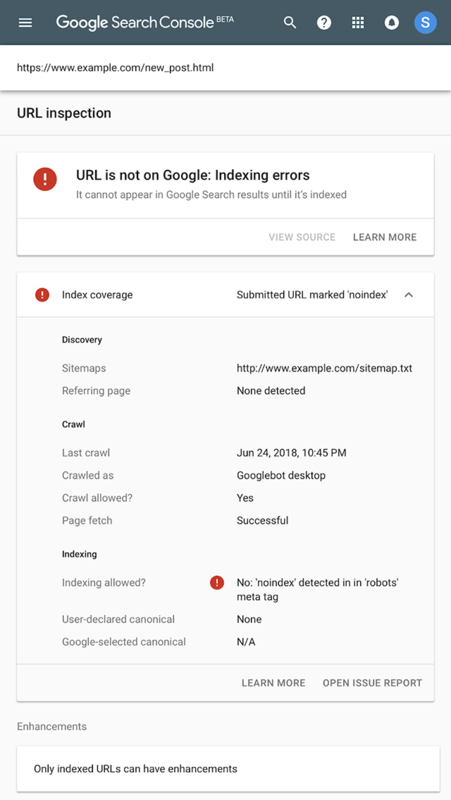 So technically this is not new information but it seems some SEOs are confused about the difference between the Google Search Console URL Inspection Tool and the Indexing reports in the Google Search Console. The indexing reports are aggregated over time and compiled for reporting regularly (I think 1-2x/week in general? ), the Inspect URL tool shows the latest info (doesn't need to wait for the aggregate report to be updated).